This portion of the interview pertains to W.H. 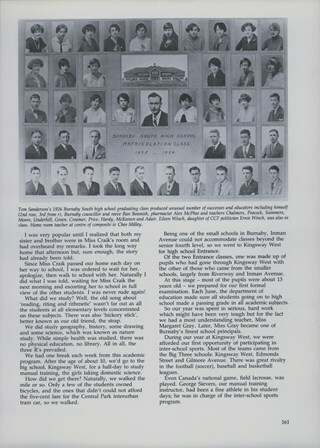 "Harry" O'Brien's early childhood including the reasons why his family first moved to Burnaby, his first experiences of unemployment and what initially drew him to the Working Organization in Burnaby and their protest against evictions. 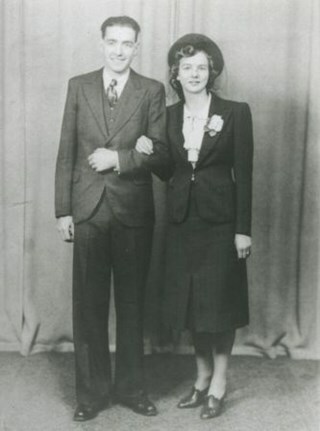 Track one of interview with W.H. 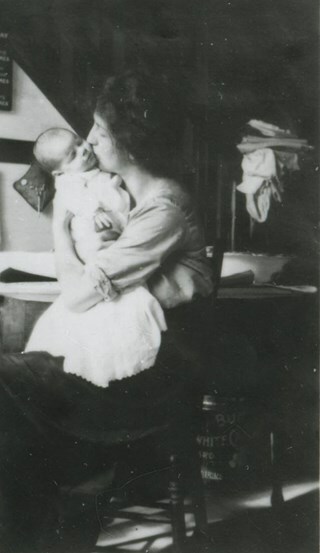 Photograph of Mrs. King holding her daughter, Annie, inside the Clarke house on Inman Avenue. Photograph of the Sanderson family home (believed to be located at 3812/5457 Inman Avenue, one block north of Central Park). 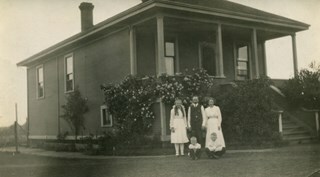 Thomas and Ellen Jane are standing next to each other in front of the house with their eldest son Gordon John, their daughter Flora Jane (later Rawden) and their youngest, Thomas James (Tommy) Sanderson. 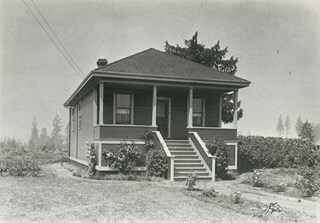 A larger house which still stands on this property replaced this house in 1921. Photograph of the Sanderson family home (believed to be located at 3812/5457 Inman Avenue, one block north of Central Park).A larger house which still stands on this property replaced this house in 1921. Photograph of Sanderson family home at Inman Avenue and Maxwell Street (now Thurston Street) in the Central Park district. Tom Sanderson was born in this house. 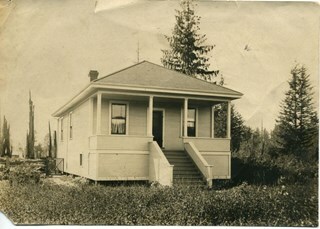 A larger house which still stands on this property replaced this house in 1921. 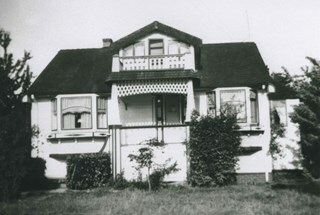 Photograph of the Sondergaard family home at 4013 Inman Avenue (old street numbering) on the north side of Central Park, built by Walter Sondergaard between 1927 and 1929. 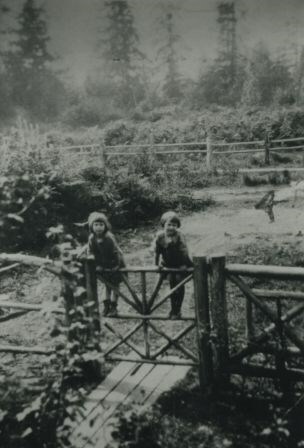 Photograph of sisters Ruth and Enid Smith on the garden gate of their home at 4526 Inman Avenue. Photograph of the home of Agnes and Nathaniel Smith and their family at 4526 Inman Avenue. 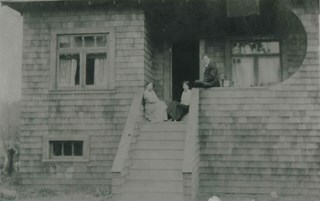 Two women and a man sitting on the stairs and porch. It was built the winter of 1913-14. Photograph of a shingle mill at Burke Street and Inman Avenue. 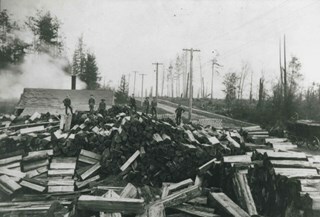 Several men are standing on piles of split logs. A horse and wagon is seen on the right. 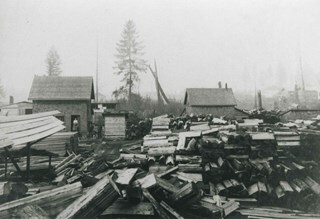 Photograph of a shingle mill at Burke Street and Inman Avenue with piles of logs and boards filing the property.